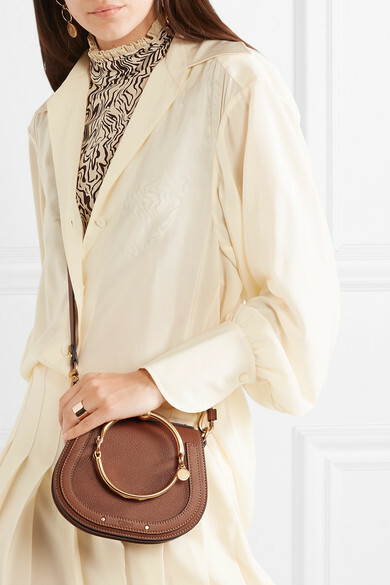 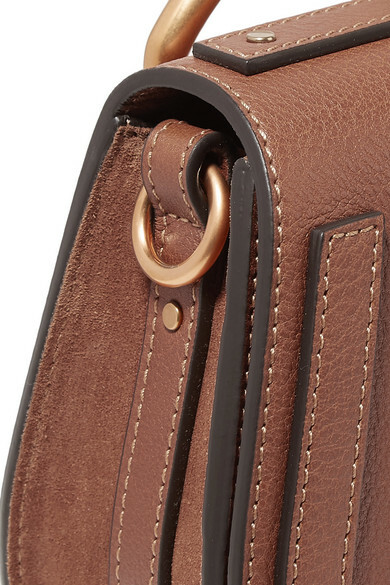 Chloé's 'Nile Bracelet' bag is defined by its jewelry-inspired top handle and sleek saddle shape. 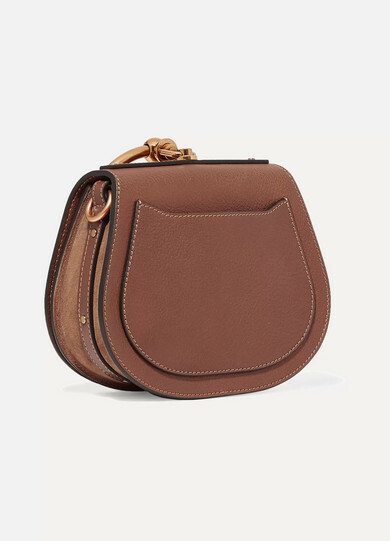 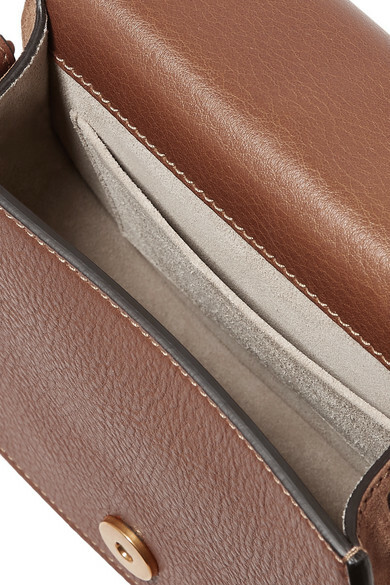 Beautifully crafted from textured-leather and soft suede, this compact style is sized to hold just the essentials - think a phone, cardholder and spare lipstick - and comes with a detachable shoulder strap so you can carry it cross-body on busy days. 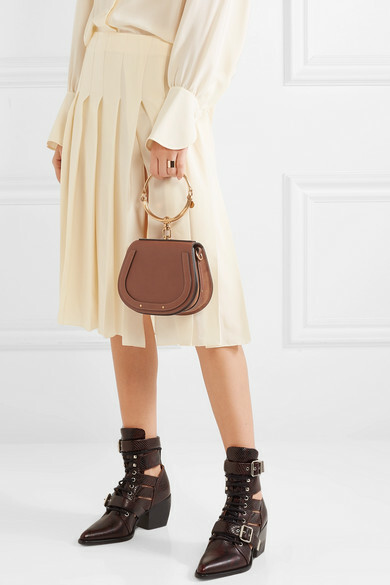 Shown here with: Chloé Dress, Chloé Top, Chloé Ankle boots, Jennifer Fisher Ring, Chloé Earrings.